Beware of the "New Normal" in the Stock Market! After two decades of Mania Era asset bubbles and sentiment extremes, what now seems normal to many investors is actually highly abnormal. That's right -- many investors no longer fear asset bubbles. That is why too many will be caught off-guard when the Mania Era inevitably ends. Many investors are not frightened by the phrases "stock market bubble," "housing bubble" or any other type of financial bubble. Because, by the time the talk of a bubble makes it into the news cycle, investors perceive the long rise in asset prices as the norm and "today" as "different." It's never irrational exuberance in the present, only in retrospect or in the future. To quote the White Queen, "The rule is: jam tomorrow and jam yesterday--but never jam today." After Manhattan real estate prices collapsed 12% in the third quarter [of 2007], the NY Post asked "Could it be the bursting of the real estate bubble? Not exactly. There are no indicators that this is the beginning of a crash. 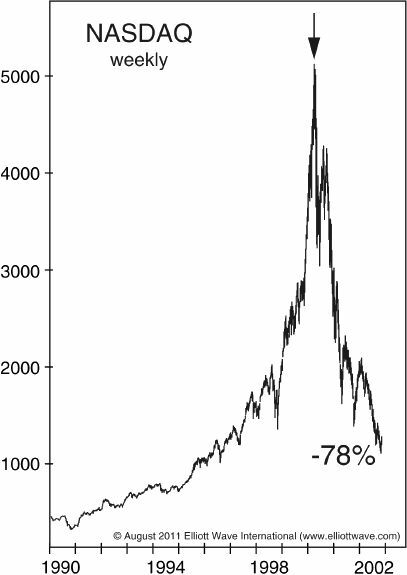 Think of the current kinder, gentler bubble, not a catastrophic burst, but a reality check, a skimming of the froth, a round of requisite price corrections that is seen as a welcome necessity." This is the last great myth of every financial euphoria; that the excess can be slowly "unwound." It is exactly what was said about technology stocks in May and June of 2000. Less than a year later, housing prices peaked in June 2006. But there was no "slow unwinding." Instead, home foreclosures skyrocketed through 2010. Some markets, like Las Vegas, saw housing prices plummet more than 60%. Instead of a methodical and rational unwinding, the technology-heavy NASDAQ crashed 78%. Financial markets are driven by emotion --optimism and fear -- not by cold reason. So, it's a myth that financial bubbles are "rationally" unwound or deflate slowly. 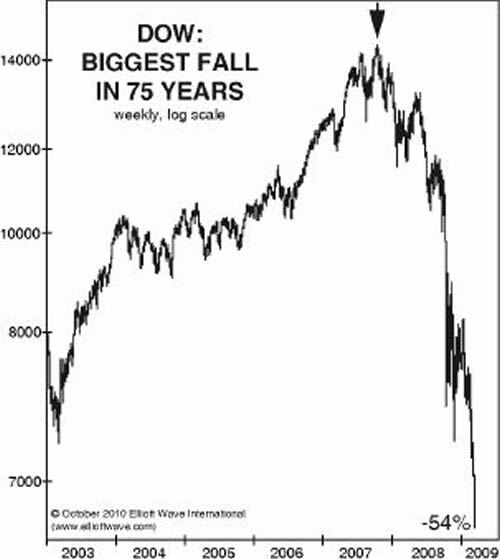 This article was syndicated by Elliott Wave International and was originally published under the headline "The Last Great Myth of Every Financial Euphoria". EWI is the world's largest market forecasting firm. Its staff of full-time analysts led by Chartered Market Technician Robert Prechter provides 24-hour-a-day market analysis to institutional and private investors around the world.